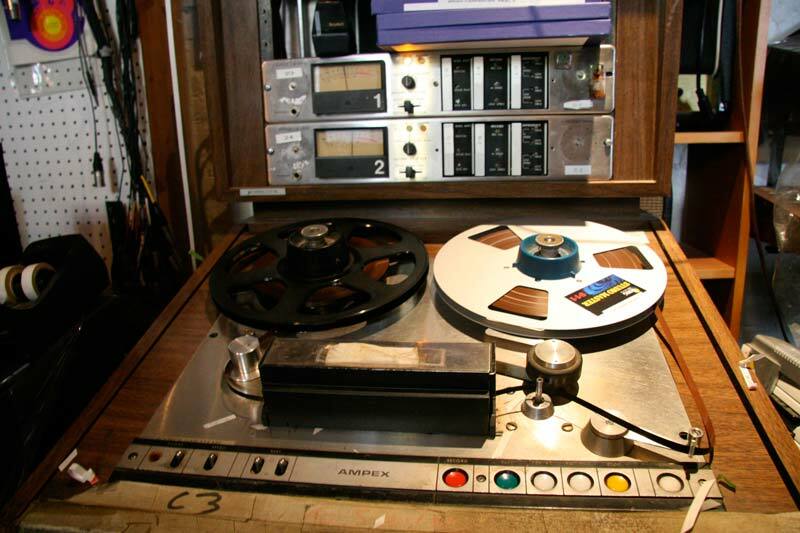 Ampex Corporation introduced the AG-440 reel to reel studio mastering deck in 1967. The model AG-440 was in production into the mid 1970’s. The machine is an all-discrete transistor design, with class A electronics. Mechanically, it was an upgrade from the long-lived 350-type transport. The AG-440 transport features a rigid die-cast assembly that achieves tape stability equal to the larger “brute force” 300-type transport but kept the approximate form-factor and user interface of the popular 350-type. The tape path features a scrape-flutter idler between the record and play heads, with facilities for a second idler on the other side of the record head.